The manufacturing of food and beverage products is a highly specialized process, with many distinct requirements, restrictions, and processes. Thus, for such a swift and delicate process, your food conveyor systems must not only move product quickly, but do so in a sanitary manner. With stringent guidelines imparted by various local, and state level agencies, the production of food and beverages requires knowledge, skill, and thoughtful design. A leader in the industry, IMS provides services, and customized conveyor options, specifically geared toward the needs of the food and beverage industry. Regardless of the scope of your food or beverage manufacturing operation, we can create the right controls and services to exceed your expectations, and streamline your operations safely. Our automation services provide packaged food and beverage solutions that can surpass your cycle requirements, while maintaining the integrity of all finished product. 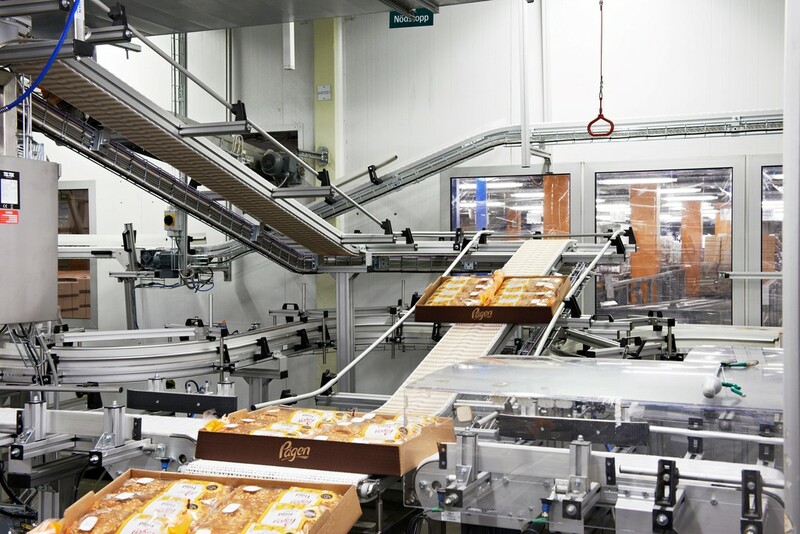 In addition, our automation services provide solutions for repetitive tasks, freeing up your employees for other meaningful labor requirements.With custom solutions at the forefront of our company offerings, our conveyors can be customized to fit any product dimension, and to maximize output without sacrificing floor space. If your current system conveyor system is not functioning at optimal levels, our automation services can provide options that will upgrade your current outfit. Our specialists can work with your current system, or design a new one, to deliver the most positive outcome. Using our control services, your system can be set up to optimize process speed throughout within your manufacturing operations. Simultaneously, the control services can provide monitoring of your production cycle to manage quality and consistency, providing accuracy with every product batch. With such quality control, the manufacturing process can remain streamlined, without sacrificing consistency of product output. Our varied control services include electrical control design, PLC programming, HMI screen development and programming, as well as in-field service. Dependent upon your current manufacturing processes, our control systems can be added seamlessly to your current system, or as part of a complete system overhaul. As with all customizable options, our highly skilled staff will work with you to determine the best solution for your company’s unique needs. Our Carryline USA food conveyors are ideal for the handling of packaged food and beverages, created with industry specific guidelines. These food conveyors parlay high quality aluminum, or stainless steel construction, making them safely usable for all food grade production. Further customizable, wash down construction and gearmotors are available, as required by your unique processing needs. Conscious of space saving solutions, we can successfully utilize your space efficiently, providing both horizontal and vertical solutions. 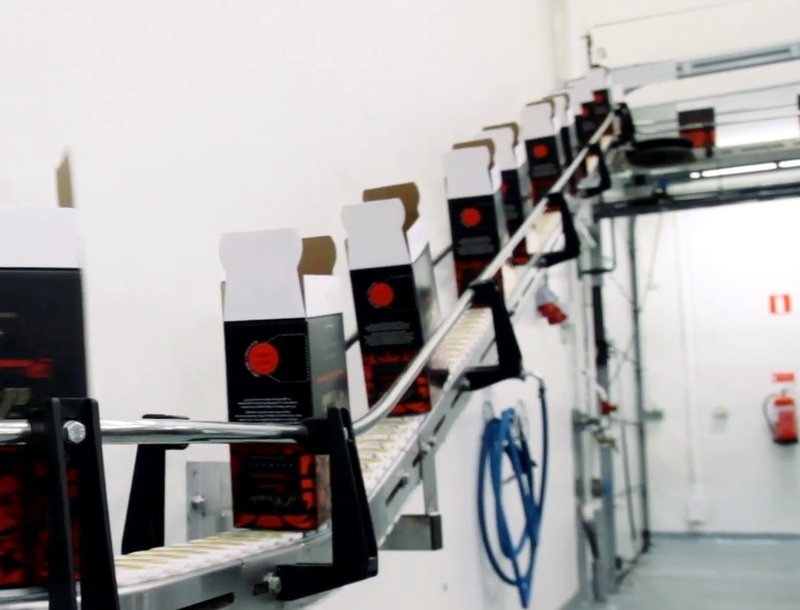 Based on your manufacturing processes in place, our snack food conveyors can be integrated into your current system, or can be created as part of an initial formation of operations. Click here to contact one of our seasoned professionals. We are pleased to assist you in determining how our services, systems, and vast offerings can meet your manufacturing timeframes without sacrificing product quality. Whether via a new system, or a component upgrade, we are confident that our food conveyors will simplify your operations, and maximize output.